2452 Bloor Street West is a new mixed-use condominium development by Plazacorp coming soon to Bloor Street near Jane Street in Toronto, Ontario. The proposal consists of a 14-storey residential building with a total of 244 units designed by Quadrangle Architects Limited. 2452 Bloor Street Condos is being developed by Plaza who is a real estate developer that has been in business since 1982 constructing communities all across the Greater Toronto Area. They are based in Toronto and is one of Toronto's "most experienced residential condominium construction and development organizations". Plaza has completed or is in the process of completing approximately 10,000 residential units thus far and were also the first builders who introduced quality fine finishes to their residential suites such as adding in stainless steel appliances, porcelain tiles, engineered hardwood floors, granite countertops, marble bathroom counters and under-mount sinks as standard features instead of charging them as upgrades. Their projects can be found in some of the most desirable locations in Toronto including the Musée Condos near Bathurst and Adelaide, 50 at Wellesley Station near Wellesley and Yonge, and 1 Yorkville near Yonge and Bloor. Plazacorp believes that "quality is built in right from the start" and this vision of theirs has made them successful in their development business. 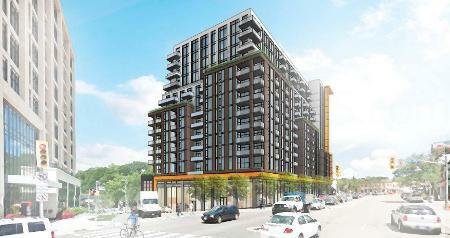 2452 Bloor Street West Condos is being designed by award-winning architectural firm, Quadrangle Architects Limited. They are based in Toronto and have been in business since 1986. Their passion is for innovative design and they recently won Best Design Team and Best Luxury Suite at the 36th BILD Awards. Quadrangle Architects has "high-profile clients in media, hospitality, retail and other sectors, as well as leading developers of multi-unit residential projects" and has a team of over 100 professionals which consists of intern architects, interior designers, architectural technologists and architects. Plaza and Quadrangle Architects Limited have worked on many projects together and 2452 Bloor Street West will be another great addition to their portfolio. A new mixed-use residential building that will be soon be part of this family-friendly neighbourhood with a walk score of 93 out of 100 and a transit score of 84 out of 100. 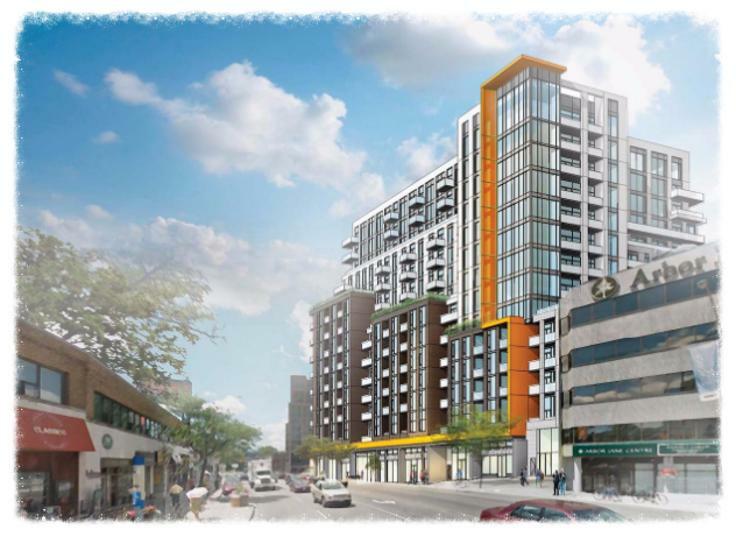 Register with us for more details on the 2452 Bloor Street West Condos by Plaza! For more information, please register today for the 2452 Bloor Street West Condos.